Overall Melbourne’s property market is rising inline with the strong population growth seen in the state of Victoria. Affordable options can be found in the north and west of inner CBD, whilst infrastructure projects in 2017 will underpin future growth in outer Melbourne suburbs. Ensuring that there is a healthy level and mix of future developments is crucial for Melbourne, in order to support population growth and also increase economic growth potential. This will have a positive spill-over effect on the property industry, ensuring sustainable level of capital growth in the medium and long-term future. 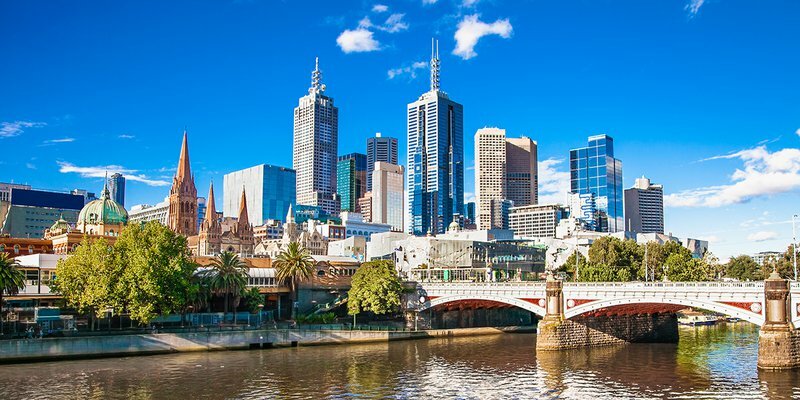 "PRD's Melbourne Hotspot report uncovers pockets of opportunity for buyers within 20km of the CBD"
In 2016/17 the Melbourne property market saw unit prices begin to level out after a period of steady growth, while houses continue to benefit from an increasing Victorian population, unchanged cash rate, and sustained demand. Infrastructure has emerged as a key area with a focus on public transport and upgrading facilities, to support one of the fastest growing Australian populations. "Infrastructure has emerged as a key area of focus"
Property buyers will be buoyed by the presence of affordable options in the midst of continued overall development and price growth, found especially to the north and west of the inner CBD. The PRDnationwide capital city hotspots series highlights three main hotspots suburbs for each property type (house and units), within 20km from the CBD. A main contrast between the capital city hotspots in relation to affordability is reflected in a house median price heatmap, in particular the percentage of the market accessible to buyers with a certain budget within 20km from the CBD. In Brisbane for instance, buyers with a maximum budget of $500,000 can access approximately 16.8% of the market, which is considerably higher than Melbourne (9.4%) and almost quadruple of Sydney (4.8%). Buyers would need a budget of $1M-$2M to access most of both Melbourne’s and Sydney’s house market (42.5% and 57.5% respectively), however they only need a budget of $500k-$800K in Brisbane (46.5% of the market). This demonstrates the extreme affordability contrast of the three capital city markets. Note: Suburbs with $0 or N/A median price is not included in the above table, which results in percentage sum not 100%. The above table further highlights the shift in affordability in the Melbourne market, with less amount of suburbs available for those with a budget of less than $1M (53.3% in 2nd half 2016 report versus 50.0% in 1st half 2017 report). The $1M-$2M market has grown in Melbourne, suggesting increasing room for high-end boutique properties. "Toorak, East Melbourne, and Kooyong has emerged as Melbourne’s priciest suburbs"
Toorak, East Melbourne, and Kooyong has emerged as Melbourne’s priciest suburbs, with house median prices of $4,055,000; $3,505,000; and $2,699,835 respectively. Interestingly rental yield in these suburbs are quite low when compared to Melbourne’s house average of 3.2%; at 1.3%, 1.3%, and 2.3% respectively. These hotspots were chosen based on a number of factors, the prime deciding factor being their affordable prices (i.e as close as possible to the state’s average home loan) and level of new project developments in 1st half 2017. More often than not these hotspots have a high level of liveability from the perspective of amenities, transport, and existing infrastructure; as well as strong investment fundamentals in terms of rental yield. *Note: Total Projects is reflective of aggregate quoted estimated value of residential, commercial, industrial, infrastructure, and mixed-use development; based on reported land construction values as stated by the relevant data authority and do not signify their commercial/resale value. Melbourne’s rental market remains attractive, with house and units rental prices showing positive growth over the past 12 months to Q4 2016. House rental prices have increased by 1.3% as an overall, however 3 bedroom houses prove to be popular, increasing by 2.7% to $380. The overall unit market remained stable over the same time frame, however those investing in 2 bedroom units can be comforted with a 5.3% increase to $400 per week. Over $15.8B of commercial, infrastructure, industrial and mixed use projects are scheduled to commence in the first half of 2017, underlining Melbourne’s increasing economic growth potential. . Infrastructure has emerged as a key area of focus in Melbourne ($5.7B out of a total $15.8), with a focus on public transport and upgrading facilities. Increasing property stock is also on the cards, with $3.8B in both mixed-use developments and residential projects, totalling $7.6B. Commercial and industrial projects ($2.2B and $58.0M respectively) balances out Melbourne’s development plans, geared to attract more commercial activity and business in order to support local job growth.